The Emeryville Trader Vic's is considered the flagship of the chain, even though it moved here from its original location in 1972. 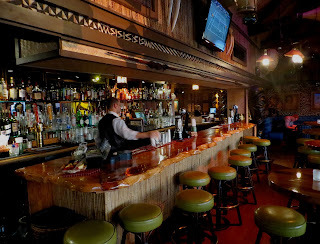 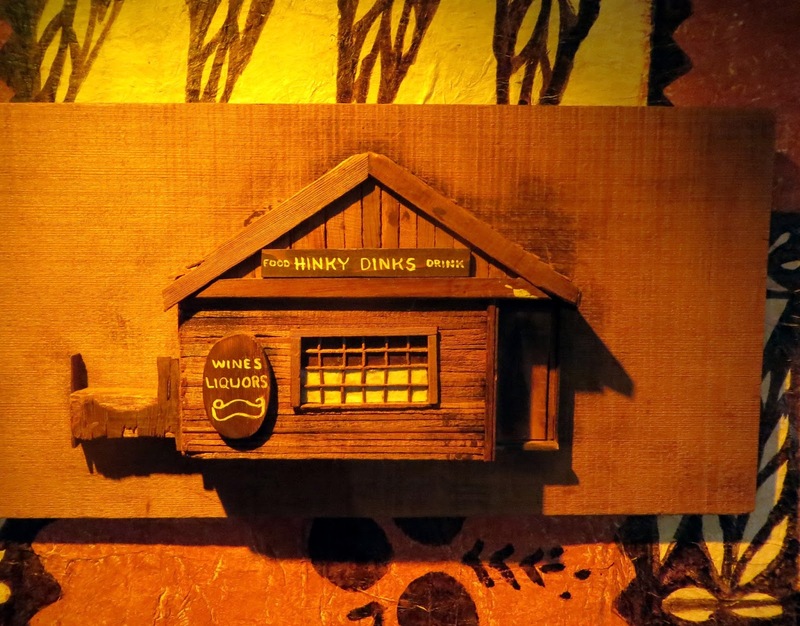 After establishing Hinky Dink's, the "home of Frankenstein," with menus printed on cigar boxes, Victor Jules Bergeron, Jr. visited Hollywood, took in the island flotsam themes of Don the Beachcombers and the Seven Seas, and along with Don, invented the tiki bar, converting his Oakland place to "Trader Vic's" in 1937. 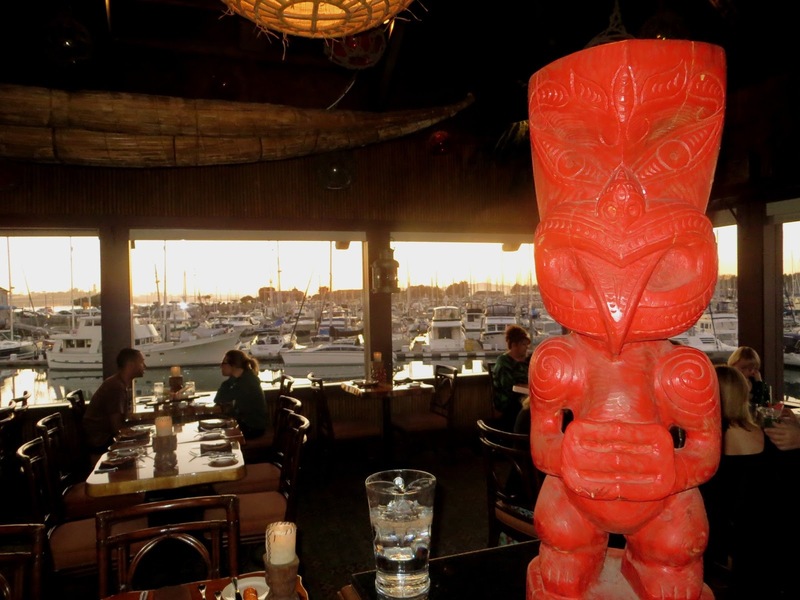 He began his expansion in the 40s, starting with The Outrigger in Seattle. 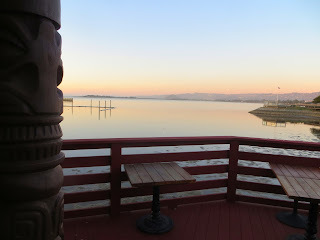 In '72, the original location moved a few miles north to the current location on the San Francisco Bay waterfront in Emeryville. It is large, seating nearly 400, with various dining rooms, and a patio bar area. 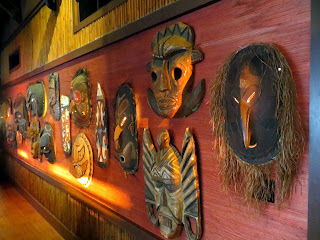 Trader Vic's tends to get the most credit, among various disputants, for inventing the Mai Tai, and after a five-month remodel and menu revamp in 2010, the menu now includes their made-from-scratch 1944 version. 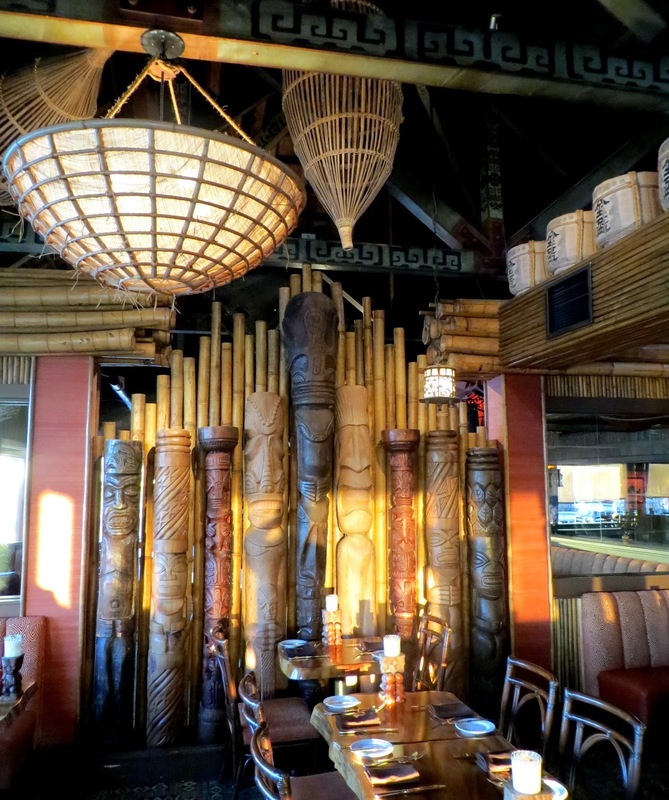 I had never been to the pre-remodel version, but apparently it includes a few more tikis now (Bergeron is credited with introducing actual tikis to the common decor of polynesian restaurants). The food and drinks are fairly good, but of course the reason to eat at Trader Vic's is to be at Trader Vic's. This one lives up to the expectations.